Endless diets and workouts fail to burn your unwanted fat but ‘burn’ you? No need to worry anymore, MCAN Health is here to help you with liposuction in Turkey. Liposuction is also known as lipo used to remove unwanted body fat from different parts of the body. Liposuction is performed on areas of the body such as buttocks, arms, waist, chin, thighs, and tummy where fat cells are usually stored. Fat deposits can be removed permanently by liposuction and the desired body shape can be achieved by liposuction. The purpose of liposuction is to correct the body contour/shape. Lipo is not designed to help losing weight or to treat obesity. Generally, people over 39 Body Mass Index (BMI) should go to weight loss surgery also known bariatric surgery but not liposuction. Unwanted body fat is a problem for many women and men around the world regardless of age. People spend time, money and effort on various diets and sports to get rid of unwanted body fat. However, no matter how much exercise or diet is done, there can still be some parts of the body left with stubborn body fat. Thanks to liposuction that offers the best and the quickest solution, stubborn body fat is not unbeatable anymore. Every year more than 1.5 million women worldwide have liposuction to feel more confident about their bodies. Liposuction is among the most commonly preferred type of cosmetic surgeries carried out worldwide chosen by not only women but also men. Endless diets and workouts fail to burn your unwanted fat but ‘burn’ you? No need to worry anymore, MCAN Health is here to help you with liposuction in Turkey. Unwanted body fat is a problem for many women and men around the world regardless of age. People spend time, money and effort on various diets and sports to get rid of unwanted body fat. However, no matter how much exercise or diet is done, there can still be some parts of the body left with stubborn body fat. Thanks to liposuction that offers the best and the quickest solution, stubborn body fat is not unbeatable anymore. Every year more than 1.5 million women worldwide have liposuction to feel more confident about their bodies. Liposuction is among the most commonly preferred type of cosmetic surgeries carried out worldwide chosen by not only women but also men. Liposuction in Turkey is among the most popular cosmetic surgeries. Liposuction cost in Turkey is more affordable than liposuction cost in other countries. Clients who want to have liposuction abroad prefer Turkey because of affordable cost and state of the art technology and experienced plastic surgeons. MCAN Health is chosen by a high number of clients from different parts of the world who desire to have high-quality liposuction surgery with affordable costs to have a desired result. VASER Liposuction, also known as Vaser Liposelection, Ultrasound Liposuction or VASER Hi Def Liposuction, uses the most advanced ultrasound technology to remove the unwanted fat and reshape the body. With the help of ultrasonic waves, the fat deposits can be easily broken down. Both men and women can take advantage of VASER Liposuction. It is the best choice for men who want a six-pack ab and for women who want to shape their body by removing the stubborn and fatty issues. Laser liposuction, also known as laser lipo, laser-assisted liposuction or SmartLipo is a technique to break down fat cells with a laser before they are sucked. The advantage of laser liposuction is not only reduce fat cells but also to tighten the skin. MCAN Plastic surgeons generally prefer laser lipo for face, neck and jowls and where there is a loose skin. How much Fat Can Be Taken Out By Liposuction? The answer depends on various factors. You need to consult your surgeon for your situation. But please keep in mind that lipo is not a weight loss surgery. It is for body countering. The maximum fat can be collected safely is around 5 liters. Still every patient’s own situation determines the amount of fat to be sucked by liposuction. For some patients, the MCAN plastic surgeon can perform mega liposuction and collect fat over 5 liters depending on the unique health situation of the patient. Where On The Body Liposuction Can Be Performed? Length of the liposuction treatment: Liposuction operations usually take between 1 and 4 hours depending on how big the treatment area is. Inpatient or Outpatient: It depends on the size of the area treated and the type of anesthesia used. Anesthesia: Liposuction operation can be performed under local anesthesia or intravenous sedation or general anesthesia depending on the size of the treatment area, the excess of fat and specific circumstances of the patient. The best and suitable choice will be recommended to you by your MCAN Health surgeon. Incisions: Liposuction surgery generally involves minor and inconspicuous incisions. A small cut on the skin of the treatment area or several cuts will be done in case the treatment area large. Tumescent Liposuction: A thin tube called a cannula, which is attached to a powerful vacuum device inserted through the incision to loosen the fat. Then the fat is extracted from the body by using a surgical vacuum or syringe attached to the cannula. Vaser Liposuction (Ultrasonic Liposuction): This technique uses ultrasonic waves via a special cannula to breakdown the fat cells. Vaser Liposuction is a specialized and minimally invasive fat removal procedure and Vaser Liposuction is suitable for both women and men. Laser Lipo: Is a recently developed technique that removes body fat by using a laser. The laser is used to loosen fat before removing it from the body. This can be done both externally and internally. MCAN Health Liposuction Packages cover the treatment cost, the airport transfer, city transfer, hotel and patient host services. 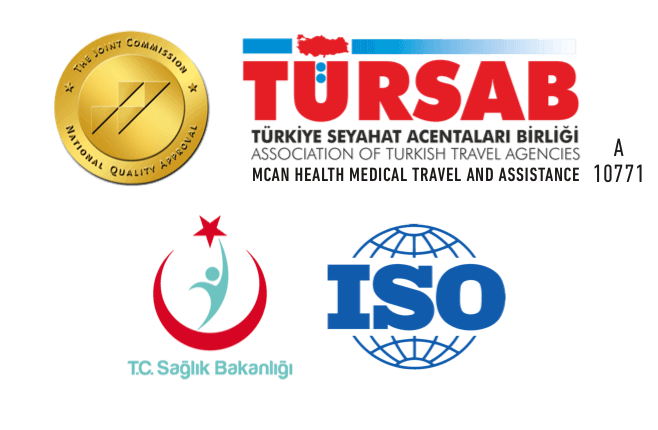 Liposuction cost in Istanbul with MCAN Health starts from 1500 EUR and can go up to 5,000 EUR for a megaliposuction with 4 nights hospital stay, 5 nights 4-5 star hotel, all the transfers and patient host services. MCAN Health’s experienced and talented liposuction surgeons perform liposuction surgery by using a variety of latest technology techniques including Laser Liposuction, Vaser Liposuction, Tumescent Liposuction. MCAN Health aims to give you the best quality lipo with affordable costs. 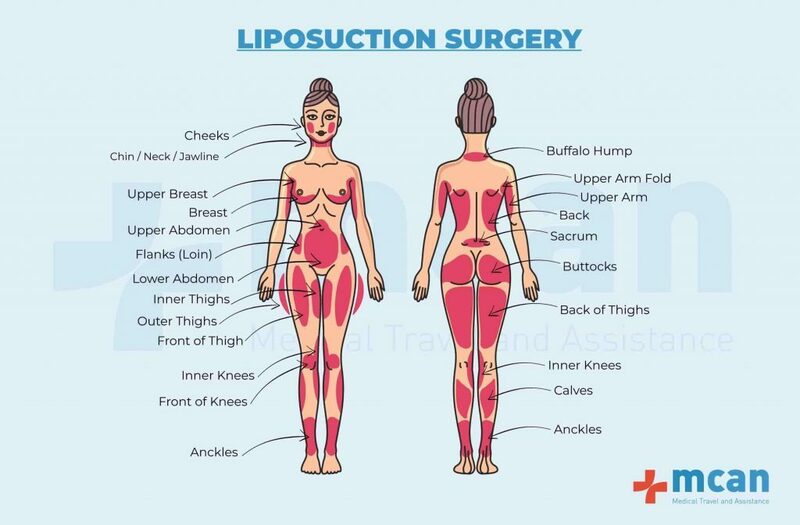 Our plastic surgeons will evaluate your case, learn your expectation and will offer the best liposuction technique that fit your case. • The desired body shape. • An easy and long-lasting solution to unwanted fat. • Liposuction treatment at luxury and internationally certified hospitals. • Liposuction treatment with minimum invasion. will be provided by MCAN Health contracted plastic surgeons. will be provided by MCAN Health contracted plastic surgeons.